Look closely at the Pagan “Three-In-One” symbols in the image above. 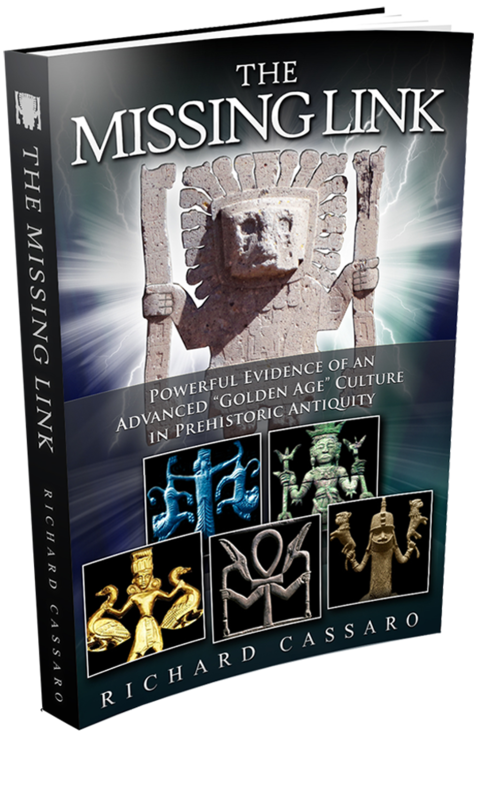 Together they relate never-before-seen evidence that shows how ancient Europeans all celebrated the same pre-Christian “Three-In-One” religion. These symbols also indicate that the Church’s “Holy Trinity” concept is an intentional hoax and a deception—created to cover-up this more ancient Pagan Three-In-One religion. Traditional history tells us that the Holy Trinity—the unity of Father, Son, Holy Spirit as three persons in one divine “Godhead”—was conceived at the Council of Nicea in 325 AD, convened by Rome’s Emperor Constantine. The council’s purpose was purportedly to have theologians meet to discuss and agree on “God’s” true nature. 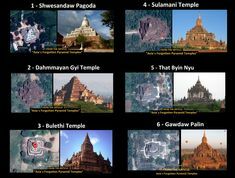 This ancient Three-In-One religion was a self-empowering body of wisdom that endowed Europe’s masses with legendary sixth-sense faculties. It gave believers the mystical ability to tap their inner power of intention, call into action the will, educate the senses, and perfect the physical constitution. It also endowed them with the fabled ability of mind over matter. A people thus enabled are naturally difficult to influence and nearly impossible to control. Hence the desire of the Church founders—whose goal has always been to gain hegemony over the masses—to eliminate this ancient magical wisdom from the continent, giving them a firmer base to establish their new Christian religion and uproot the existing belief systems. Sound crazy? Perhaps it does. But recall the story of St. Patrick in Ireland. He famously converted all the old Irish pagans to the new Christianity by using their most important religious symbol—the three-leaf Shamrock. 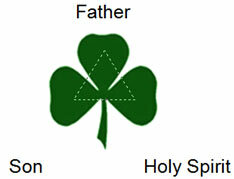 The three-leaf Shamrock was the central icon of their age-old Three-In-One Pagan religion. Clearly, hidden within this story of St. Patrick’s conversion tactics is explosive evidence of a cover-up—evidence that Christianity’s Holy Trinity is a man-made concept. Christianity needed a way to insert and supersede the existing Pagan religion; the Church founders did so by co-opting the Pagan symbolism, replacing it with a manufactured symbol of their own making. 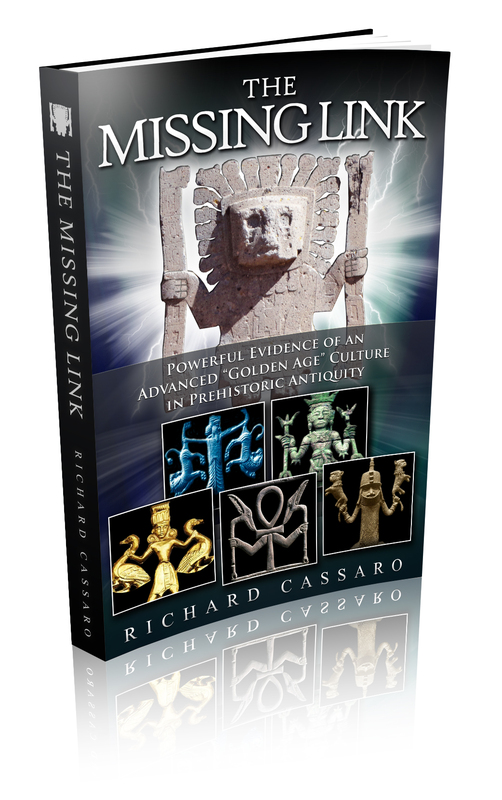 It is a process known to experts as “syncretism”, and in this case it was expertly and purposely executed to divert the attention of ancient Pagan peoples away from their much older Three-In-One religion once symbolized by the Shamrock (in Ireland). This older Three-In-One teaching was not confined to Ireland, and not confined to the Shamrock. You can see these symbols on the map of ancient Europe below.Not long ago, I found the symbols of ancient Europe’s lost Three-In-One religion—a discovery that has thus far eluded scholars. 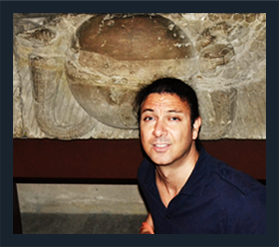 These triangular symbols indicate that before Christianity there existed a single Three-In-One religion that appears to have once flourished throughout the entire European continent. 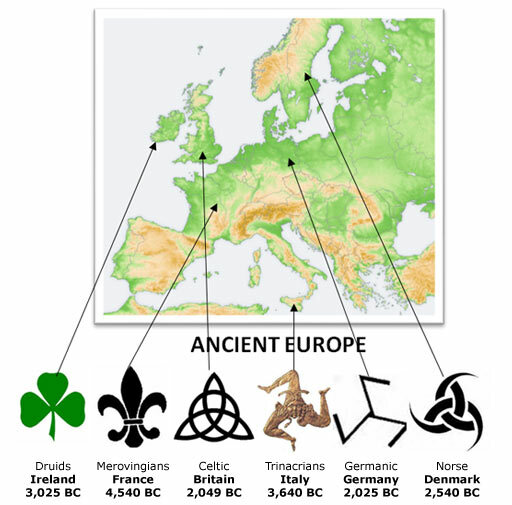 These symbols indicate a link between northern, southern, eastern and western Europe. Specifically, for thousands of years these Three-In-One symbols were revered as magical, mystical, powerful… until the Catholic Church turned all of them into emblems of the Holy Trinity. Actually, “turned them into emblems of the Trinity” is putting it mildly. For centuries the Church brutally eradicated ancient Europe’s Pagan Three-In-One tradition and installed the concept of the Holy Trinity in its place. To facilitate the convincing of the masses to accept the new religion and doctrine, the Church transformed these icons into emblems of the Holy Trinity (Father, Son, Holy Spirit). 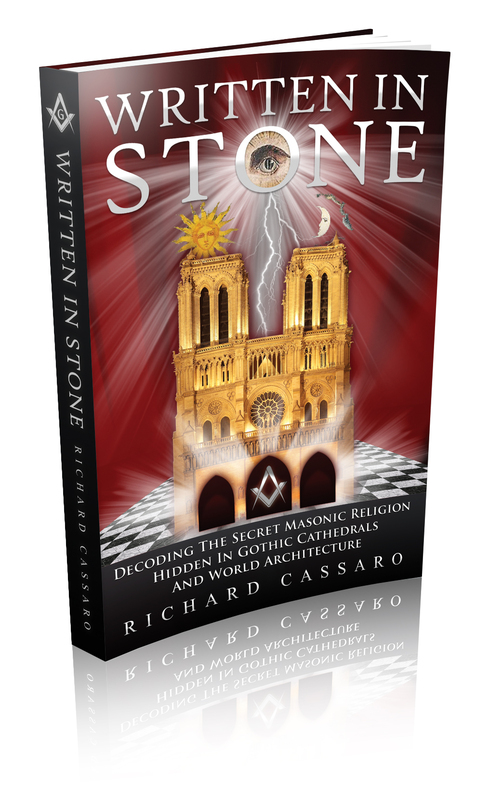 This memory of the Three-In-One religion became the central focus of Secret Societies, and one Secret Society in particular: The Freemasons. 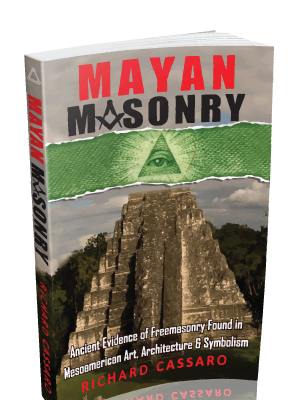 The Freemasons not only took over the triangular symbols of ancient Europe’s three-in-one tradition (like the Triquetra and Fleur De Lis), they also took over the Triangle itself. 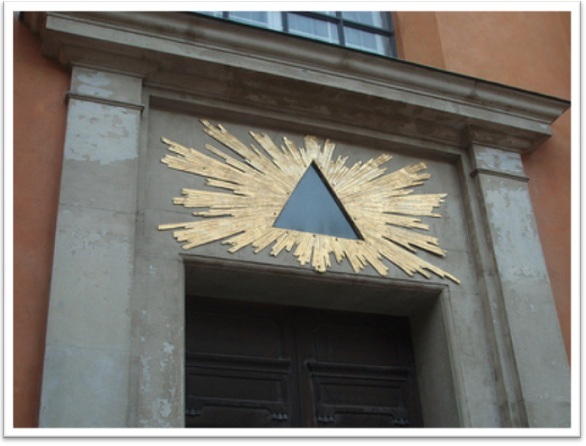 Masonic “illuminated triangle” encoded in architecture. 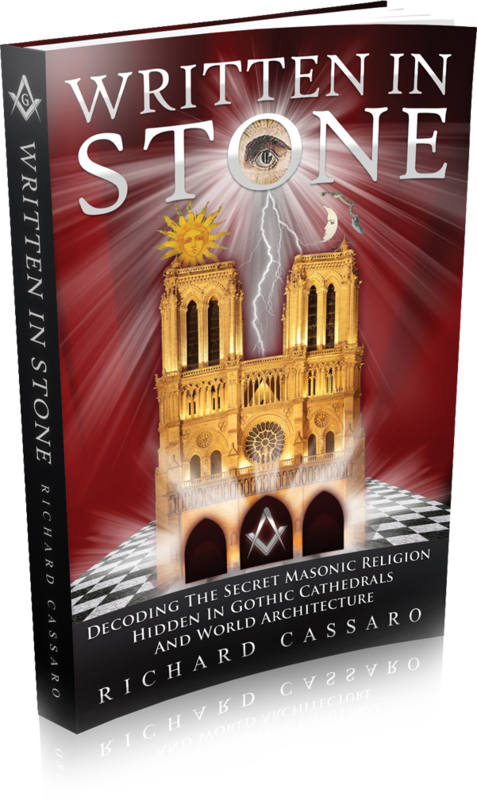 To learn more about Europe’s lost three-in-one tradition, and how the Freemasons encoded this tradition into the architecture of the buildings they designed and constructed, buy Written In Stone by Richard Cassaro.